A weightier and fuller version of our Fairtrade Simplicity. A blend of sweet, nutty central American coffees with a small amount of Robusta to give more depth and body. Notes of peanuts, hazelnut, caramel and malt balanced with a woody spiciness. 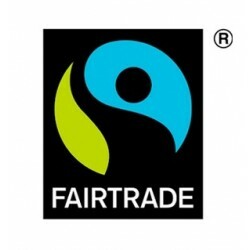 This product is certified as Fairtrade.